Designed for retail POS, industrial, and government applications, as well as interactive digital signage. The 2020L touchmonitor is designed for retail POS, industrial, and government applications as well as interactive digital signage. It is available with AccuTouch Five-Wire Resistive Technology and serial interface. 2020L has a high-quality panel with 178 degree viewing angle. It can be used in portrait mode and also has an adjustable height. It has a carrying handle for easy transport and a quick release stand. 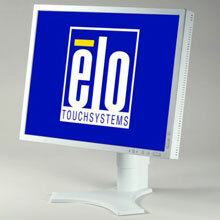 The Elo E485292 is also known as Elo Touch Systems	ELO-E485292	.